Vitamin D3 - 5,000 IU / 90 Choc. 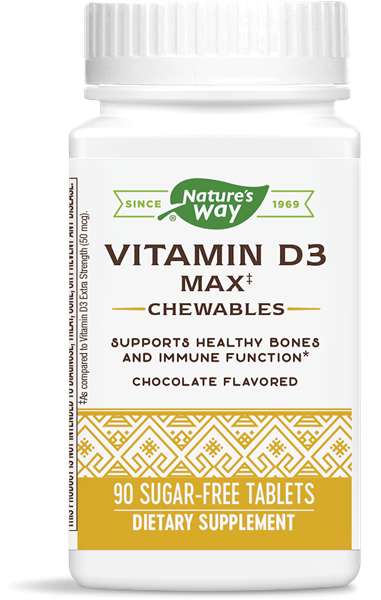 Chew tabs - Nature's Way®. Why use Vitamin D3 5000 IU chewable tablets? For best results, chew 1 tablet daily with a meal, or as directed by a healthcare professional. Do not exceed recommended dose.